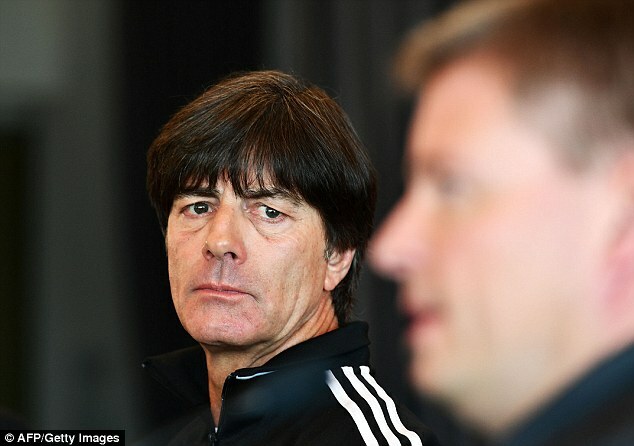 Germany manager Joachim Loew has confirmed that the national team will not be chasing goal records when they take on San Marino in the next World Cup 2018 qualification match. The German national team managed a whopping 13-0 score over San Marino back in 2006. Teams usually switch off after having scored a certain number of goals, but it was not the case against the lowly ranked team. Regarded as one of the minnows in world football, San Marino have suffered plenty of heavy defeats in their history, but the loss against Germany stands out. There is a good possibility of a similar scoreline occurring a decade after the famous result. It has sparked speculation that Germany would try to break the 104-year-old record of the most number of goals in a single FIFA game, which currently stands at 16. Incidentally, Germany holds the record after having scored this astonishing number of goals against the Russian national team. “To break the record is not the aim. Our aim is to be focused, not to be arrogant, create chances and score goals and take a clear result back home with us.When you see when they concede goals it is in the 70th or 75th minute onwards. Until then they defend well and they trail 1-0 or so.The San Marino players learned their trade in Italy so they can defend rather well,” said Loew. One of the reasons why records may not be broken is the lack of several key players for selection. Germany and Manchester City’s sensational midfielder, IlkayGundogan has high hopes of making his comeback to the international scene. This was after he was forced to miss out for almost a year due to injuries. The 2018 World Cup isn’t on his mind yet. On the 8th of October, Germany, who are World Champions will go head on with Czech Republic. In three days after that, they would play host to Northern Ireland in their World Cup Qualifiers match. Gudongan will be looking forward to win his first cap then since November 2015. He had signed for Manchester City in the close season but ended up missing the 2014 World Cup and the Euro 2016 as well due to injury.